Hunt met his future wife in 1889, the civil rights leader Ida Alexander Gibbs, daughter of Mifflin Wistar Gibbs, a judge and former state legislator from Arkansas. The couple married in Washington D.C. on April 12, 1904. Earlier, Hunt and Gibbs had become friends and in 1897 when Gibbs was appointed to be the U.S. Consul in Antananarivo, Madagascar, by President William McKinley, he hired Hunt to be his clerk and assistant in 1898. 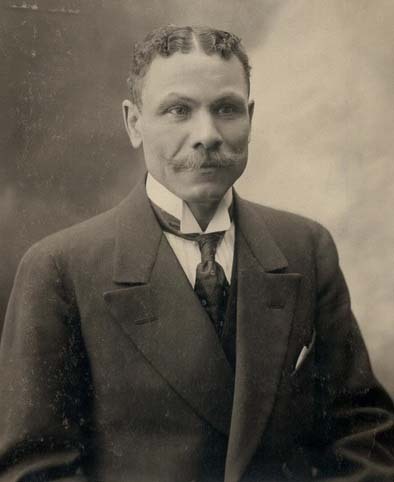 Hunt became vice Consul in May 1899 and was chosen by President Theodore Roosevelt to succeed Mifflin Gibbs as U.S. consul in Antananarivo in August of 1901. In November of 1906, Hunt became the U.S. consul in St. Etienne, France, and remained there until the office was closed in 1927. Hunt then continued to serve as U.S. consul in Guadeloupe in the West Indies, the Azores off the coast of Morocco, and eventually Monrovia, Liberia, where he worked until he retired on December 31, 1932. At the time of his retirement, Hunt had spent more time in U.S. diplomatic posts than any other African American. William H. Hunt spent much of his retirement writing a memoir about his extraordinary life as a diplomat around the world. Despite his humble origins, Hunt eventually interacted with diplomats from other countries and counted Kaiser Wilhelm II of Germany and U.S. financier J.P. Morgan as among the many prominent people he met. William Henry Hunt died of natural causes in Washington D.C., on December 20, 1951. He was eighty-eight years old but in fact was officially listed as eighty-two. Adele Logan Alexander, Parallel Worlds: The Remarkable Gibbs-Hunts and the Enduring (In)significance of Melanin, (Charlottesville: University of Virginia Press, 2010); “Hunt, Ida Alexander Gibbs (1862-1957),” https://www.blackpast.org/aah/hunt-ida-alexander-gibbs-1862-1957; “William H. Hunt, American Pioneer,” https://text-message.blogs.archives.gov/2015/01/13/william-h-hunt-american-pioneer/.